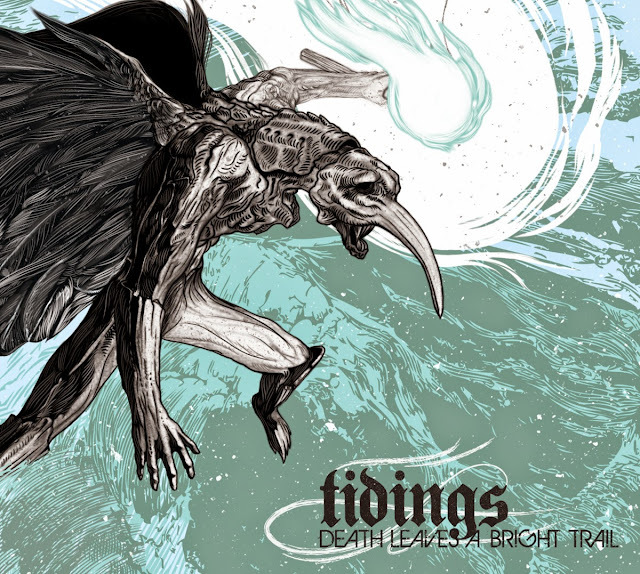 “Death Leaves A Bright Trail” by Edinburgh-based post-metallers TIDINGS is an exceptional album that has, quite simply, renewed my faith in instrumental rock music with their firm focus on melody and an almost obsessive dedication to dynamics. Like all good post-rock experiences, theirs is music to lose yourself within ... expressive soundscapes of such eloquence that they capture both heart and mind almost instantaneously ... and of such length that you, the listener, are afforded sufficient time and space to immerse youself completely, a baptism of sound, so to speak. This is why I adore the genre so much.